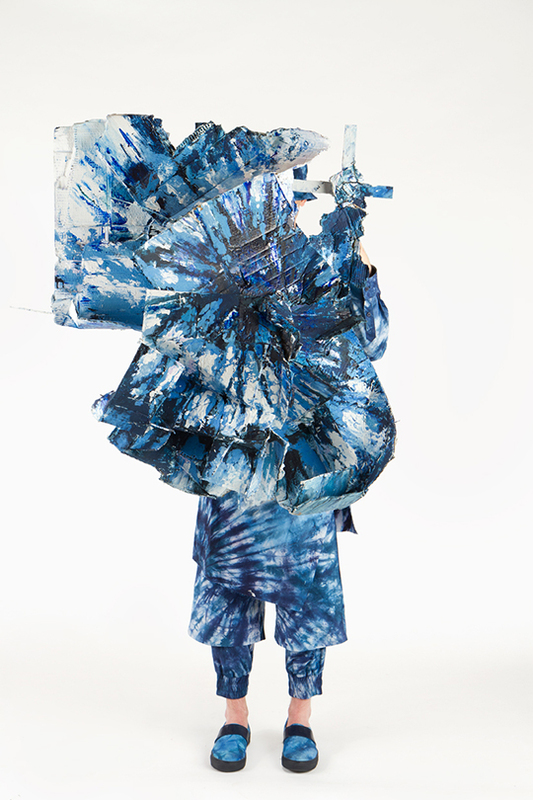 Atopos cvc proudly participated in Utopian Bodies: Fashion Looks Forward exhibition in Liljevalchs Konsthall in Stockholm, with costumes from Craig Green and Alexis Themistocleous from the Atopos collection. With the point of departure in Swedish clothing traditions and international impulses and based on twelve themes, the Utopian Bodies: Fashion Looks Forward exhibition presented a utopian world focused on innovative thinking and imaginative fashion. With specially commissioned garments by Swedish fashion designers and international creations, the exhibition intended to be a visual feast. Presenting fashion’s possibilities and highlighting human creativity, the exhibition aimed to inspire visitors to search for their good place, their vision of the future. Arranged over eleven galleries – Sustainability, Change, Technology, Craft & form, Craft & Colour, Resistance & society, Resistance & beauty, Solidarity, Memory, Gender Identity and Love – the exhibition presented a snapshot of what is possible today and where we can be in the future. The Liljevalchs public art gallery was opened in 1916 as the first independent, public museum for contemporary art in Sweden and functions under the authority of the City of Stockholm. Liljevalchs konsthall presents art and design in at least four large and lavish exhibitions each year. Designed by Carl Bergsten, it is situated amidst the captivating natural surroundings of the island of Djurgården in Stockholm. The Utopian Bodies: Fashion Looks Forward exhibition included creations from various artists and designers such as Alexander McQueen, Alexis Themistocleous, Bernhard Willhelm, Charlie Le Mindu, Chloé, Craig Green, Dior, Dries Van Noten, Gucci, Hideki Seo, Hussein Chalayan, Issey Miyake, Nick Knight/SHOWstudio, Piers Atkinson, Rick Owens, Sonia Rykiel, Viktor & Rolf, Walter Van Beirendonck and so on.